Your TV should be eye-catching, not an eyesore! Unfortunately, an eyesore is what we get when you add a TV, a stand, remote controls, game consoles, DVDs and more. 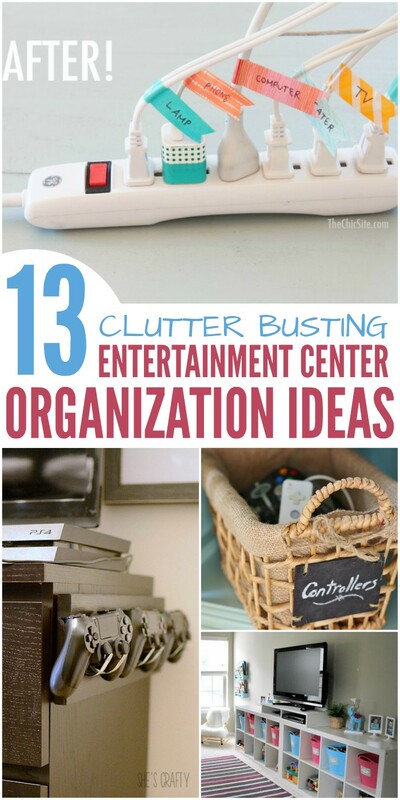 Get rid of clutter on your TV stand with these 13 genius entertainment center organization ideas. Now you can focus on your favorite shows rather than all that visual clutter! 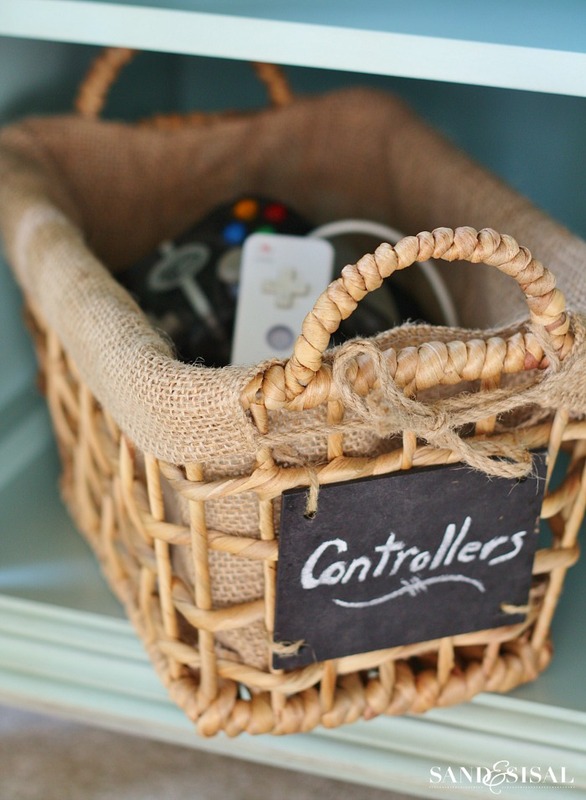 Manage the controller chaos by keeping them in a labeled basket. 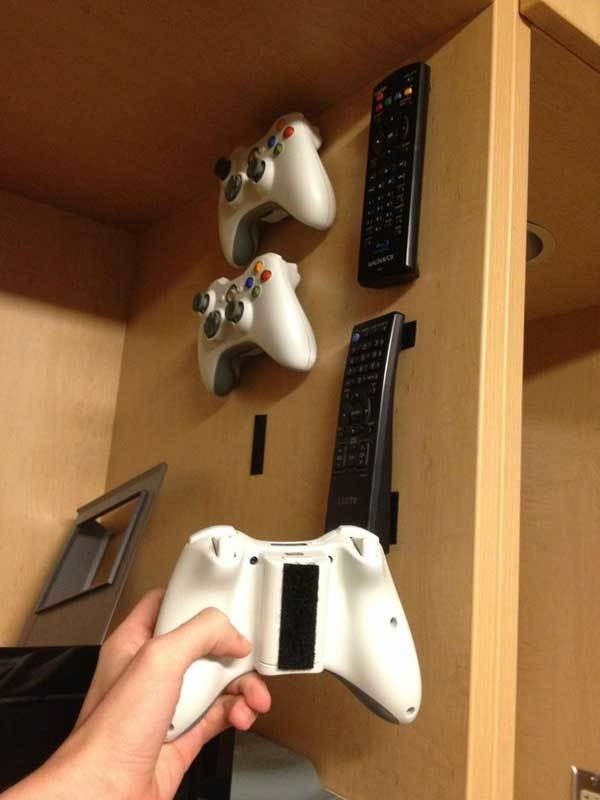 This is a great idea for the gaming TVs where you have multiple controllers for the different game consoles. I don’t know about you, but I can never remember which plug goes where. 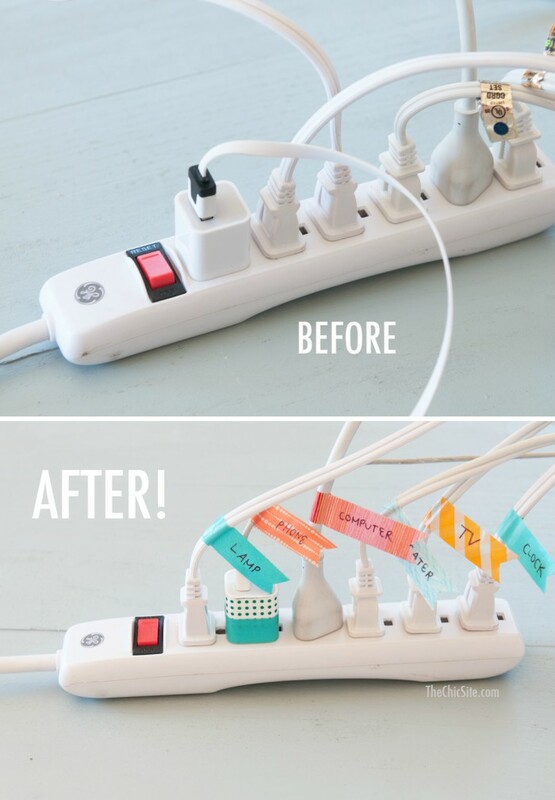 Use your label maker (or bread tags) to put a label on each cord to make moving your furniture and electronics so much easier. Washi tape cord labels are a super chic (and super cheap!) 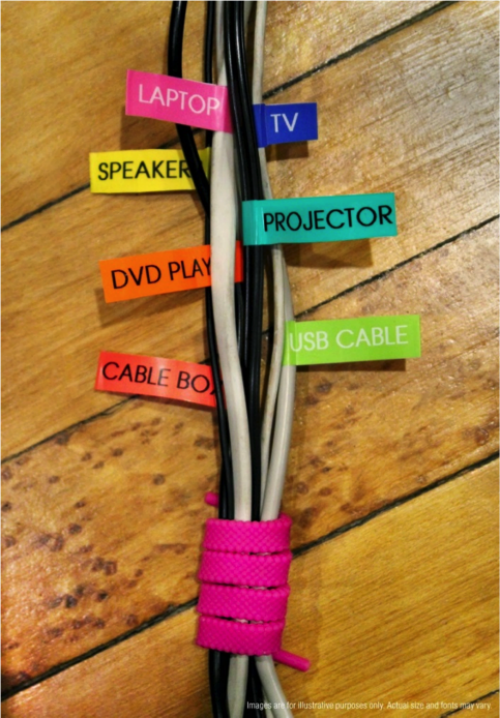 option for labeling cords if you don’t have a label maker. 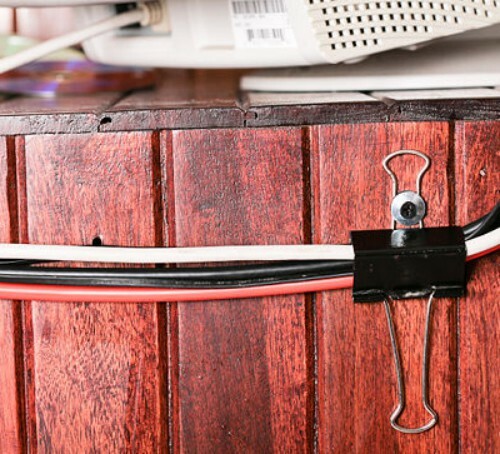 Use a binder clip to pick cords up off the floor and keep them along the side or back of your entertainment center. 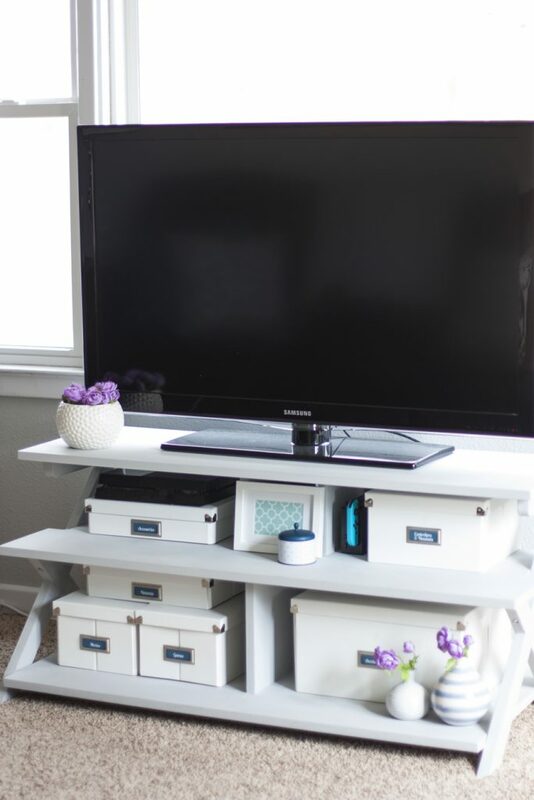 Did you know a dresser makes an excellent entertainment center? 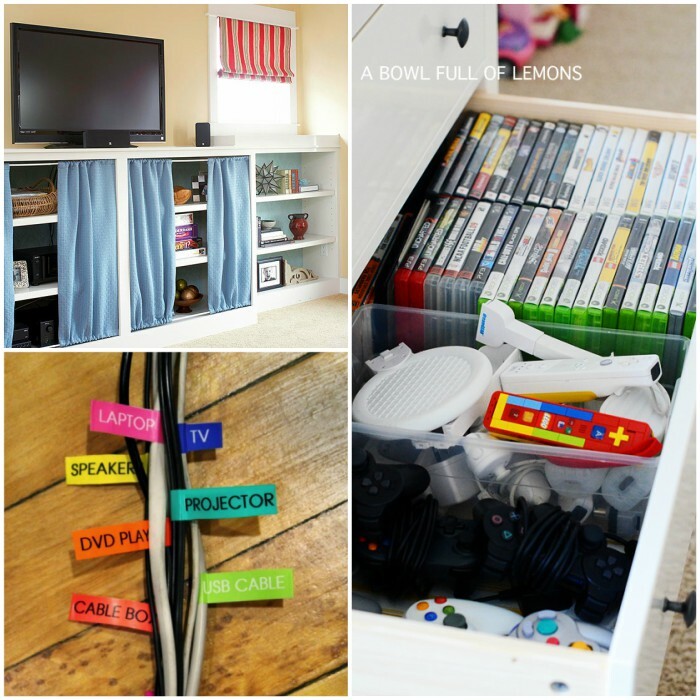 The drawers provide plenty of hidden storage, and you can use plastic bins to sort and organize the video games and console paraphernalia. DVDs may be a thing of the past, but not for us. 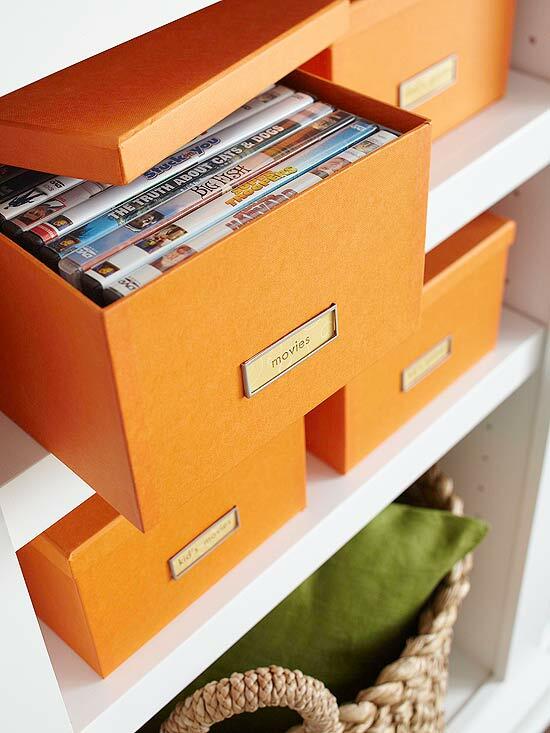 We still have hundreds, and I love this idea or organizing DVDs. First, remove the jacks, and fold them in half. Slip DVD keepers inside, and your DVDs are protected and with their covers, but you can fit them all into a small basket rather than big stacks. Clear bins allow you to see what’s inside while still providing a measure of organization. 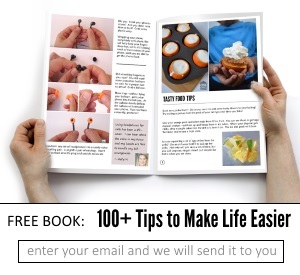 These tips from The Container Store are genius! This crafty mom used a scrap piece of wood and some hooks to make this video game controller organizer, and it blends right in. 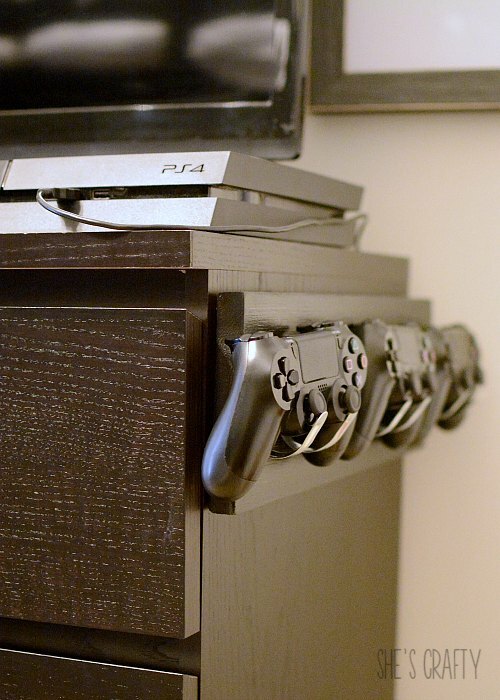 For a simpler DIY remote control storage option, try velcro! 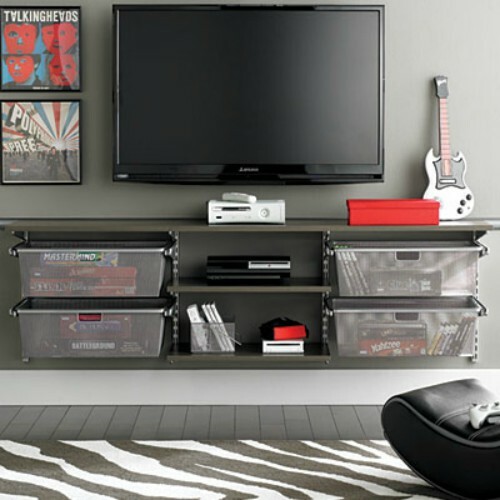 Media boxes look pretty on a shelf, and they’re ideal for organizing video games and DVDs. See? 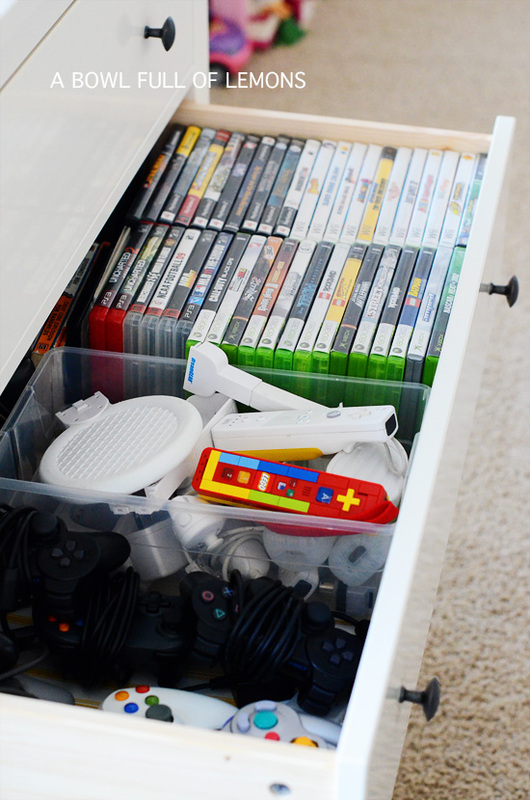 You can even use small storage boxes for storing remotes and headsets, games, gaming systems and more. The white boxes are much easier on the eyes than all the clutter before. You can’t go wrong with cubby storage. 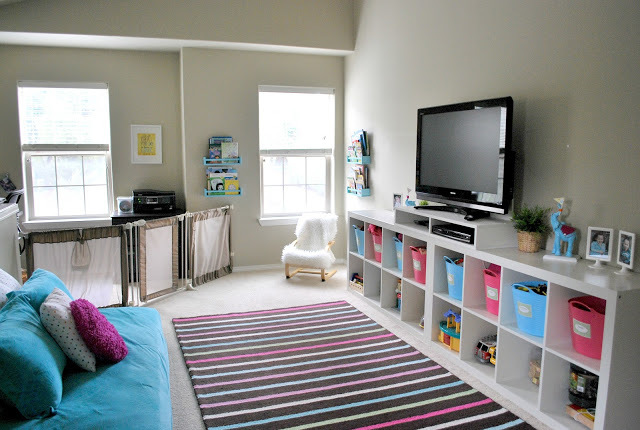 This TV is in the playroom, and colorful bins and baskets are used to contain books and toys under the tv. LOVE this one! 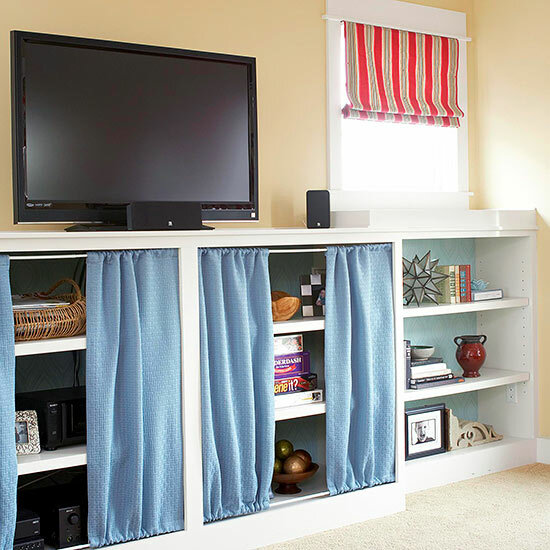 Curtains around an open entertainment center can hide visual clutter.